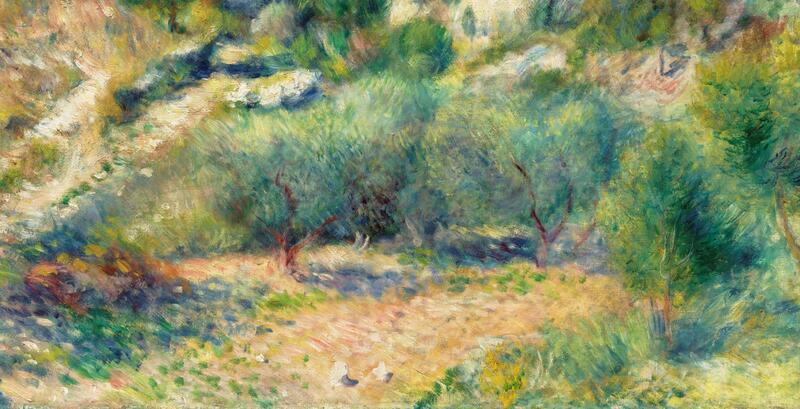 Most of Renoir’s landscape paintings were done in the countryside surrounding Paris. 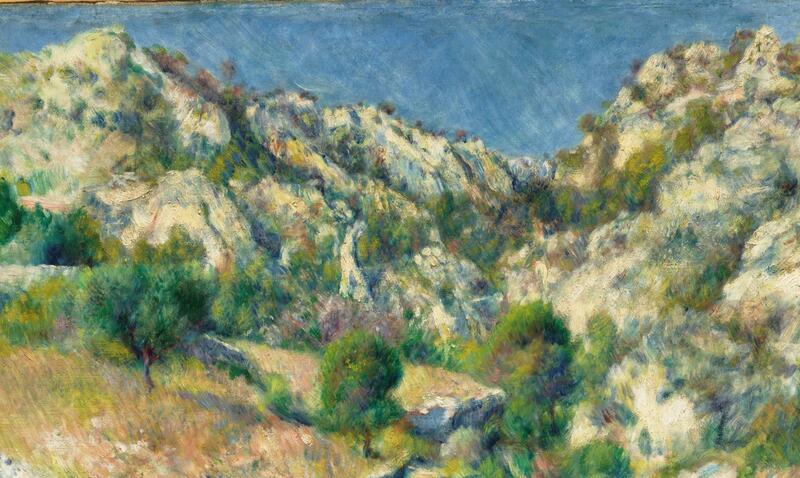 This view of a cliff at l’Estaque, near the Mediterranean port of Marseilles, was painted when Renoir was visiting his friend Paul Cézanne, who painted several views of the same site. Information about the Durand-Ruel transactions is taken from a letter from Charles Durand-Ruel to Angelica Rudenstine of the MFA (February 20, 1962, in MFA curatorial file). Also see "Renoir" (exh. cat., Hayward Gallery, London, January 30 - April 21, 1985), p. 233, cat. no. 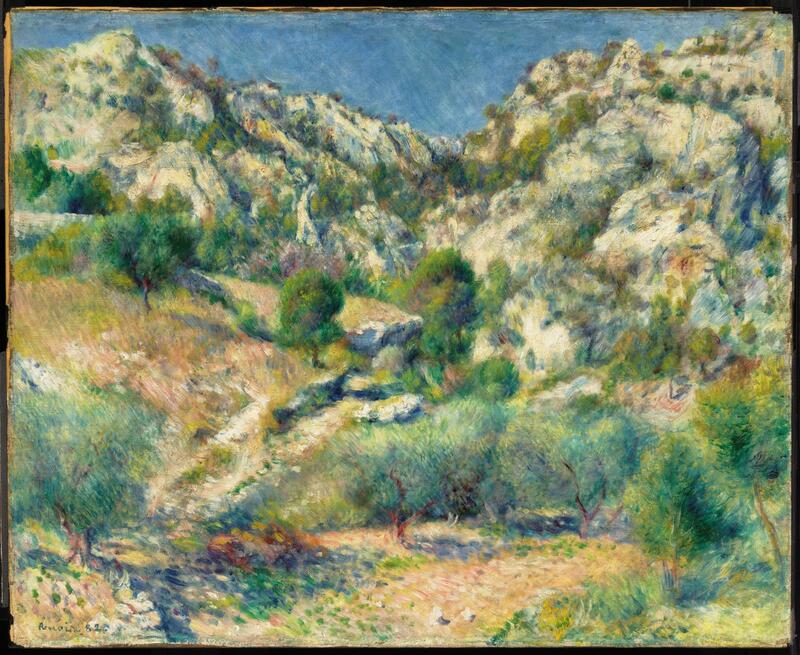 64, where it is suggested that Renoir deposited this painting as early as 1883 with Durand-Ruel, where it was exhibited it as "Campagne de L'Estaque." The letter from Durand-Ruel (as above, n. 1) states that the picture was sold to "Caroline Lambert," though it is possible that Mr. Catholina Lambert of Patterson, NJ, was intended. He was a significant collector of European paintings. According to notes in the MFA curatorial file, he lent the painting to the MFA in that year.